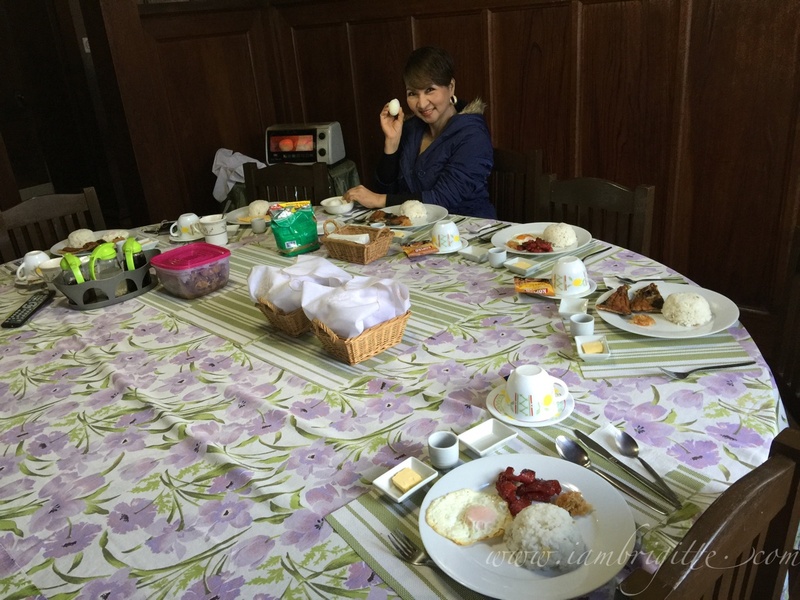 Whenever I go home to PH for a vacation, I always ask Mom if we can go to Baguio. Aside from we love the weather there, it now only takes us a 3-4hr drive going there from Bataan. Thank God for SCTEX and TPLEX! Nga pala, if you don't know yet, I am a graduate of SLU Baguio. 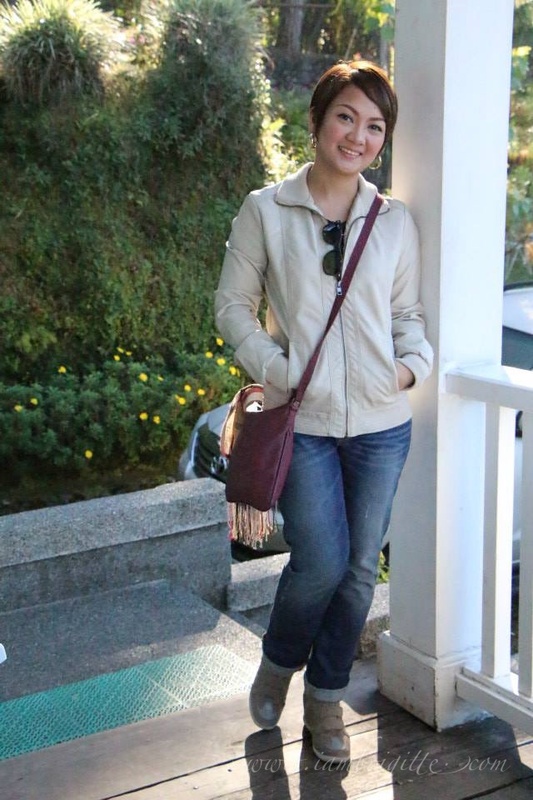 Yep, I spent 4 years and Baguio! But still, I don't think I'll get enough of the place. 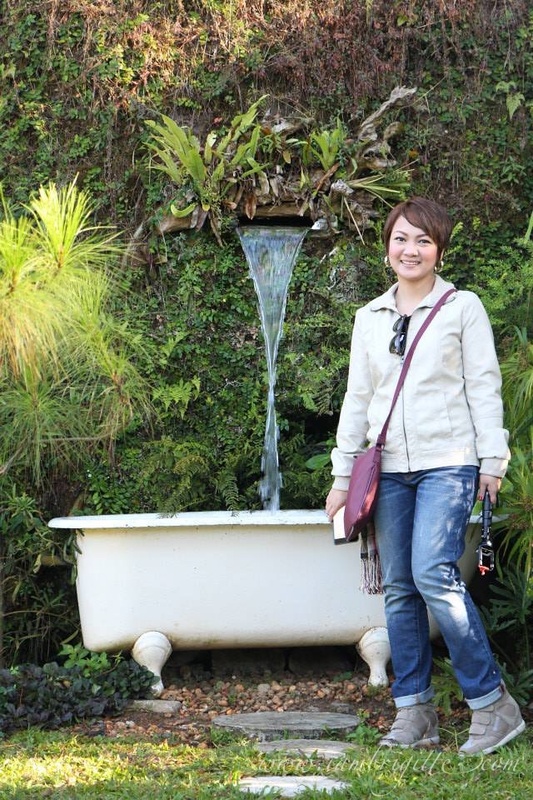 I think if I am to choose between Tagaytay and Baguio, I'd choose the latter any time. Me and my family loves staying in nice, fancy hotels. I mean, who isn't? 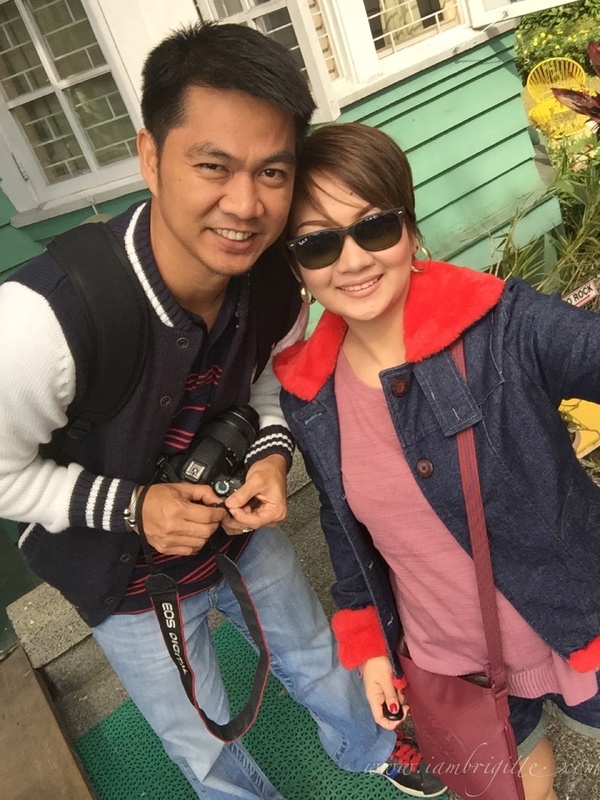 But whenever we go up in Baguio, we are not after a staycation. Usually, we go out early morning, go around, meet friends then go home early evening to freshen up and then go out again for dinner. So to get a hotel and not stay most of the time in there isn't really practical. 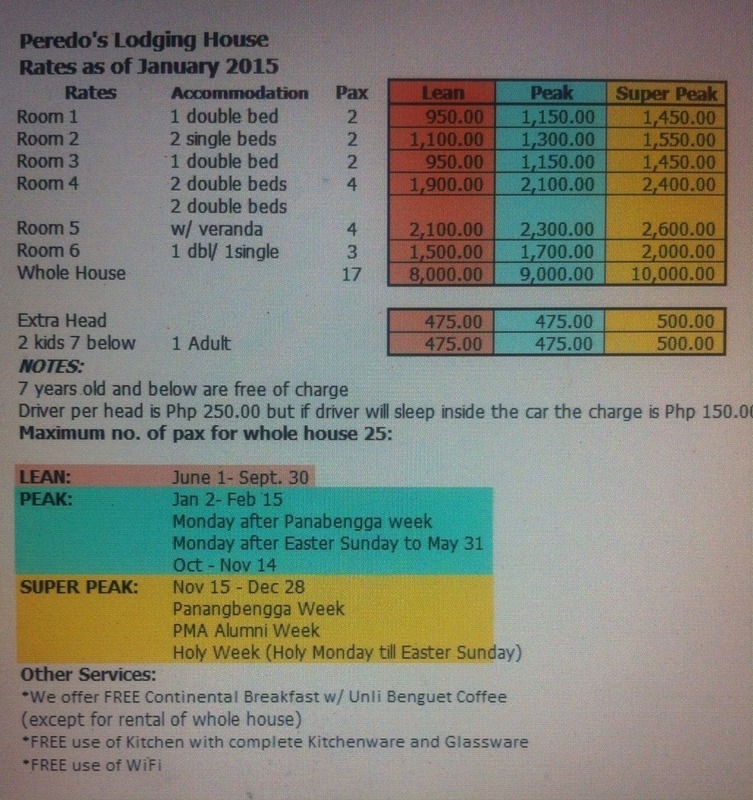 That's why when we go to Baguio, we don't book a hotel...instead, we stay at Peredo's Lodging House. We first heard about Peredo's from my sister, Sam. She had nothing but good words about the place. Funny, that the first thing I asked about her was "May mumo ba dun?" 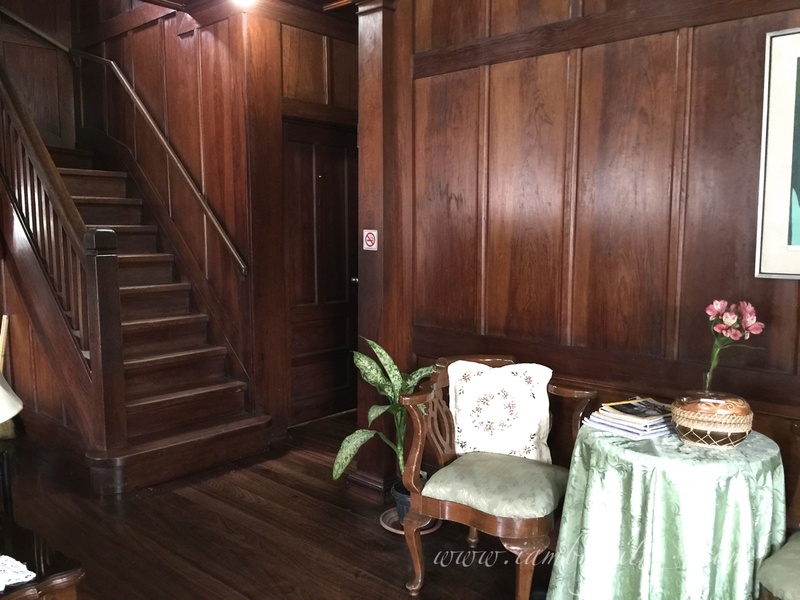 (Is there a ghost in there?) Hahahaha. 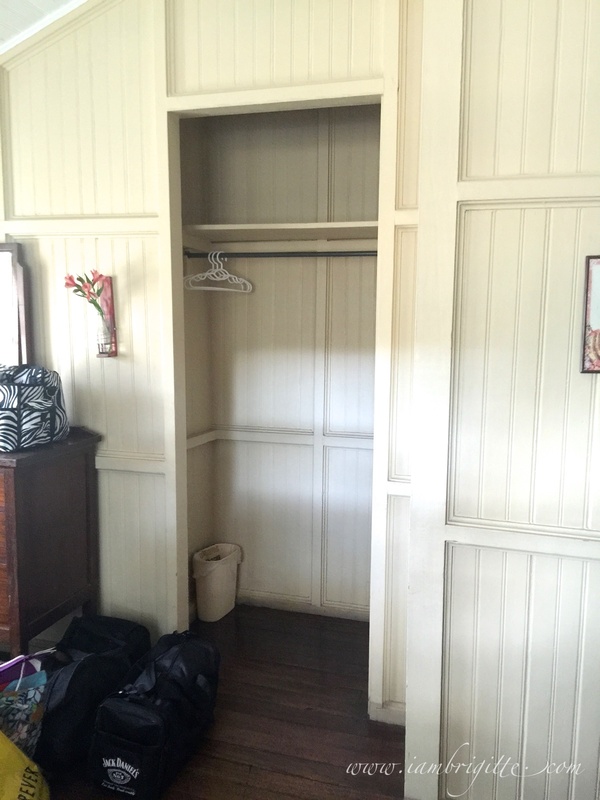 My sister said there's none, and if ever there are ghosts, she didn't see any. 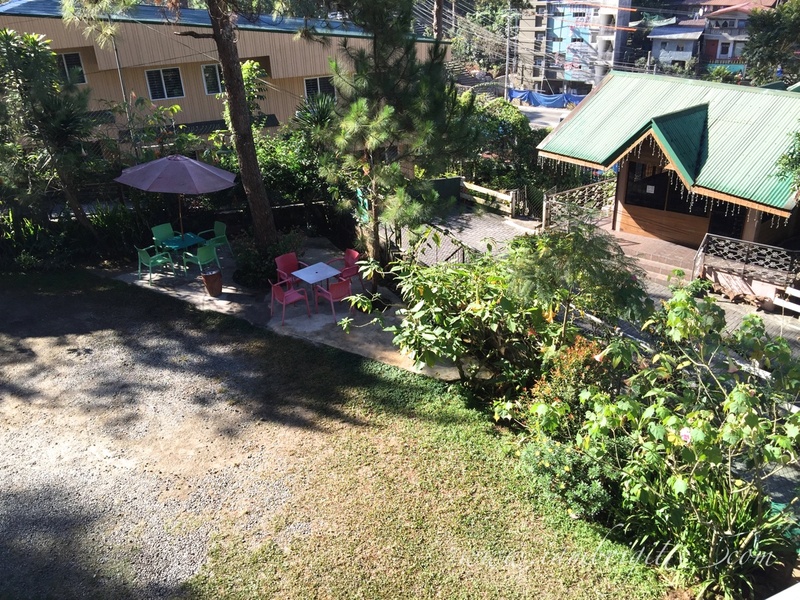 Besides, the place is so maaliwalas daw and quiet. But not the scary-kind of quiet. 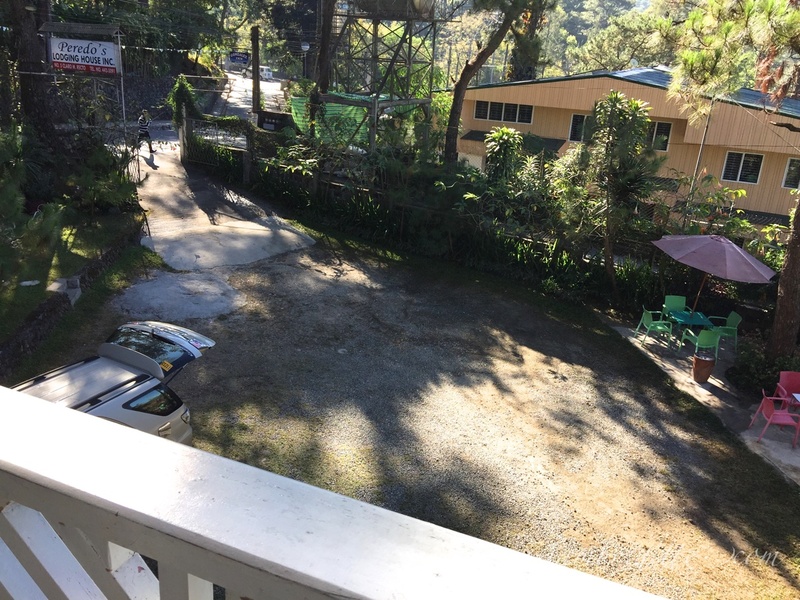 So when I had to go to Baguio alone to get my school credentials two years ago, I booked a room at Peredo's though I was a bit hesitant at that time. And just like my sister, I really loved staying at the house. It was homey, relaxingly quiet and the caretakers are so nice. And yes, no mumo! The house was built sometime in 1915 so yes, this is a 100-year old house! But as you can see from the outside, it looks well-maintained. 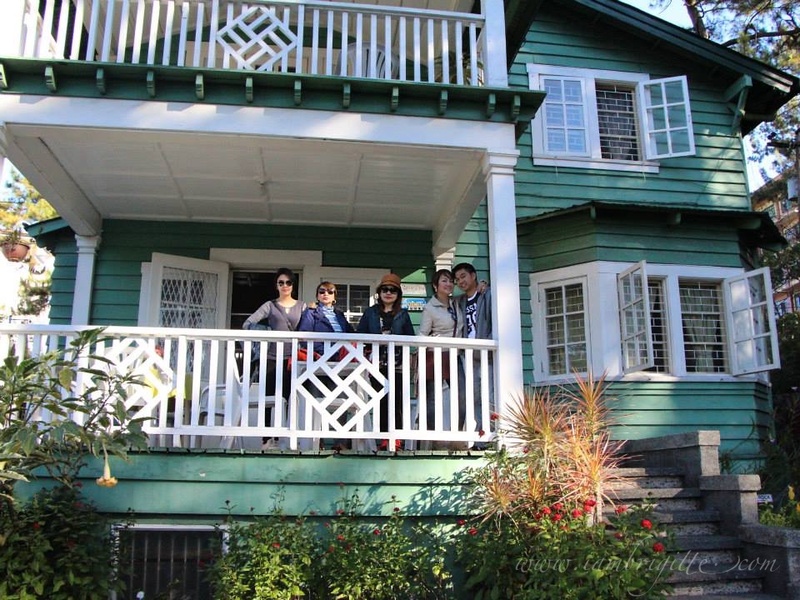 It's an old house, yes, and old housed in Baguio are just usual. But don't worry, as it doesn't look like it's gonna collapse anytime! 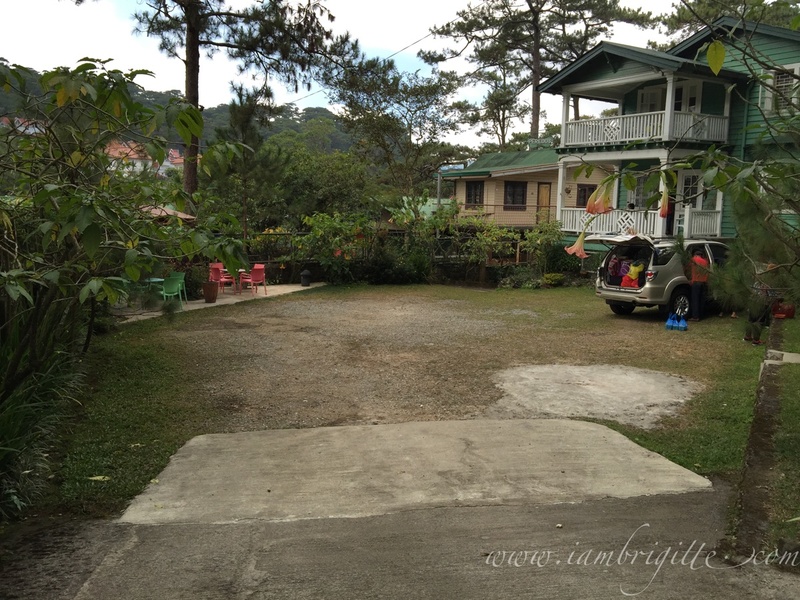 When I first saw the house two years ago, ang gaan nya sa pakiramdam. It does help that it's painted with my favorite color, green! There are garden sets on each side of the lawn. Sarap tumambay while having your selfies taken, or while having a coffee and reading a good book. I find this particular spot so romantic. I wish instead of steel, the bench is wood so Mr. X and I can re-live the scene in the movie Notting Hill. It's the scene where Julia is lying on Hugh's lap while he's reading a book. Ang tamis, di ba!? The house I think has 2-3 bathrooms, but none of them has a bath tub. Kaya naman pala, naiwan dito sa labas. Hahaha! But kidding aside, I like this idea. 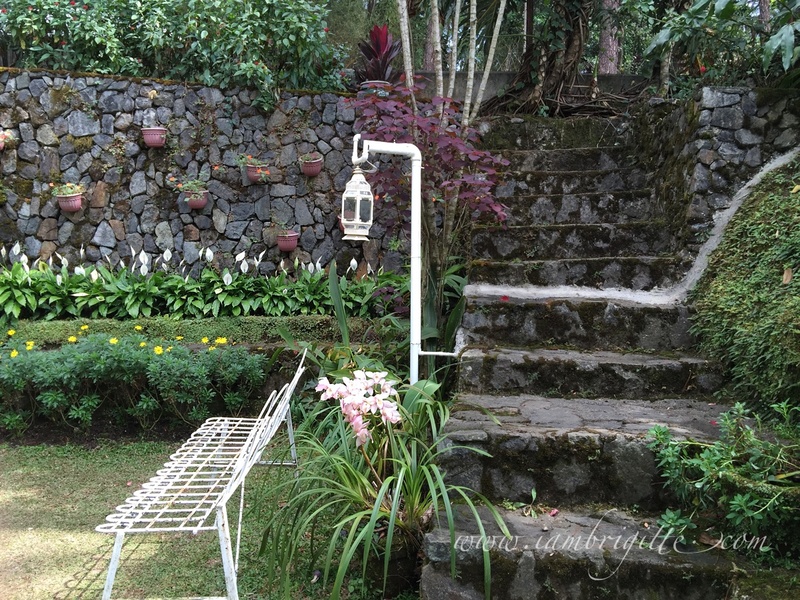 If this doesn't look homey and cozy to you, ewan ko na lang. 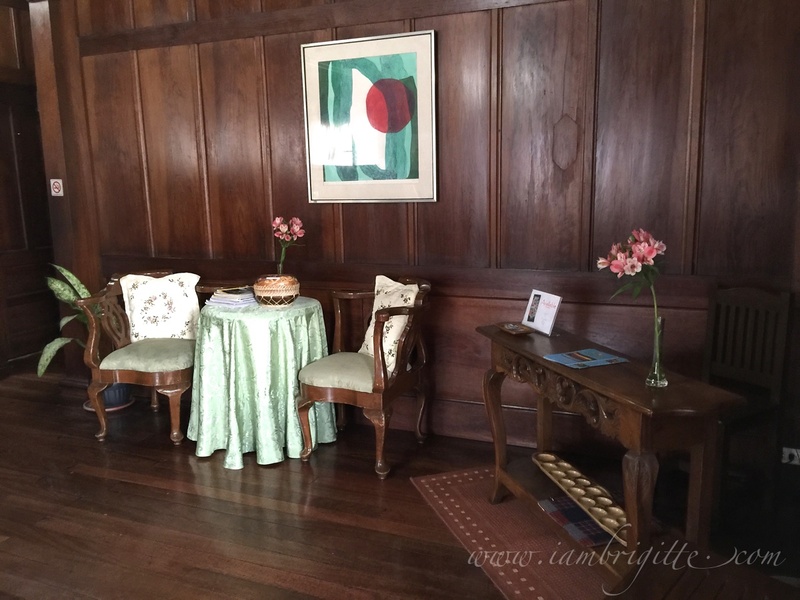 The first time I saw this sala, I wanted to grab a book and lie down the sofa. Yes that's my Mom busy washing some fruits for our quick snack. By the way, you can use all the items in the kitchen. You can even cook if you want. The beds are not hotel-quality, but are soft enough to help give you a good night's sleep after a long day. For those who are sensitive to noise most especially at bedtime, you may find it maingay because of the vehicles passing by. I was initially concerned about my Mom but she said for all the nights she spent at Peredo's, she always slept like a baby. Maybe it's the house's charm. The coziness, plus the great weather just lulls one to sleep. By the way, for every one night stay in the house, you get a free breakfast the next day in the form of unlimited brewed coffee and pandesal with butter and strawberry jam. Honestly, bitin ako sa ulam. But it's just me. Matakaw talaga ako sa ulam. Hahaha! 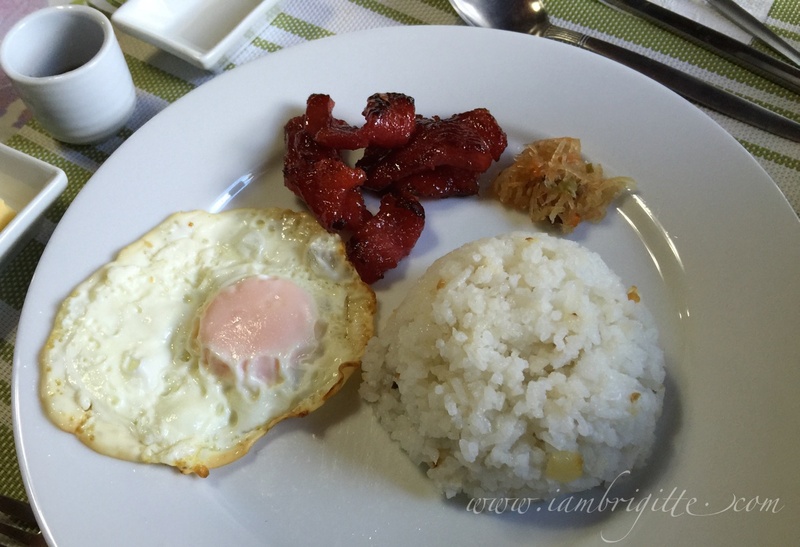 So I made sure I ordered for extra egg and buti na lang, my MIL cooked adobo for me so I brought it as baon. By the way, unlike when you stay in a hotel, you don't get your own key to the house, only for your room. So when you go out, just make sure to inform Manang so she can expect that somebody will be going back any time. So yes, if you decide to go out for gimmick (or clubbing, as my sister asks me to call it kasi super outdated na daw ako), you would have to ring the door bell so Manang can open the door for you. Don't worry, she doesn't really mind it. Me and my family don't really stay out very late any way. Me and my family really recommend the place. 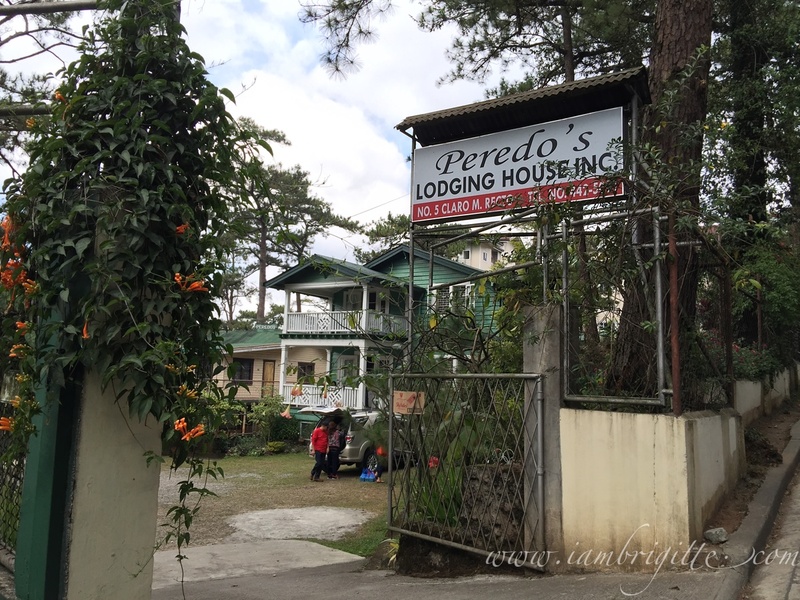 If you are going to Baguio and don't mind not staying in a hotel but still want value for your money, check out Peredo's. 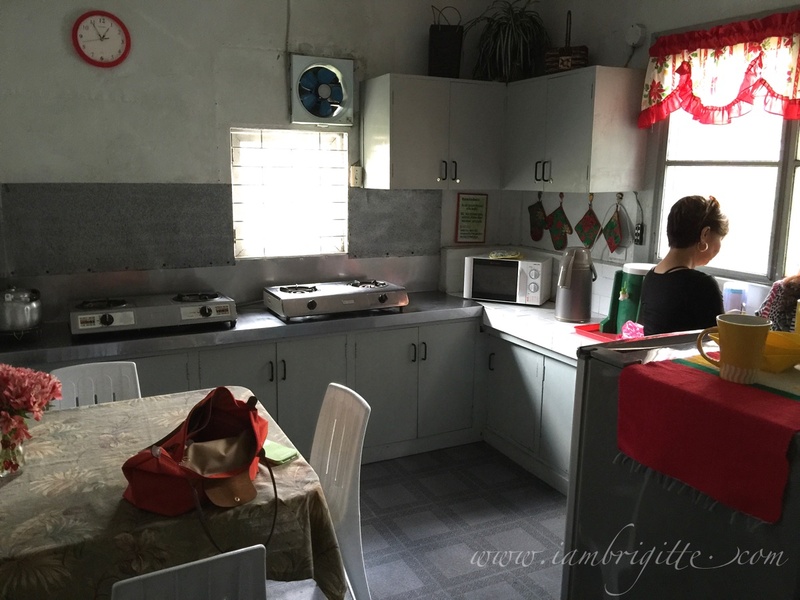 The house is clean and well-maintained. Even the bathrooms and toilets are clean and they all have a functioning water heater too. 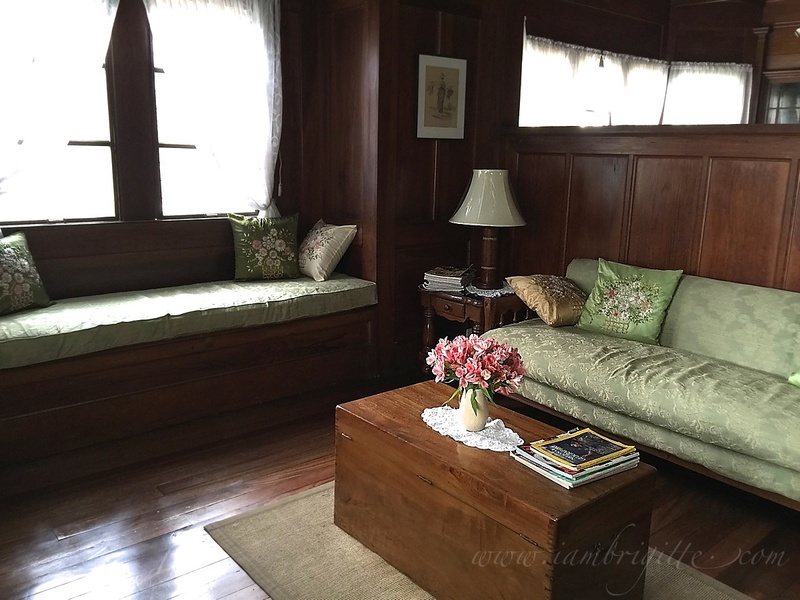 Yes, the house is old and may smell old (but not mabaho ha), but it adds appeal to the overall vibe and ambience of the house. 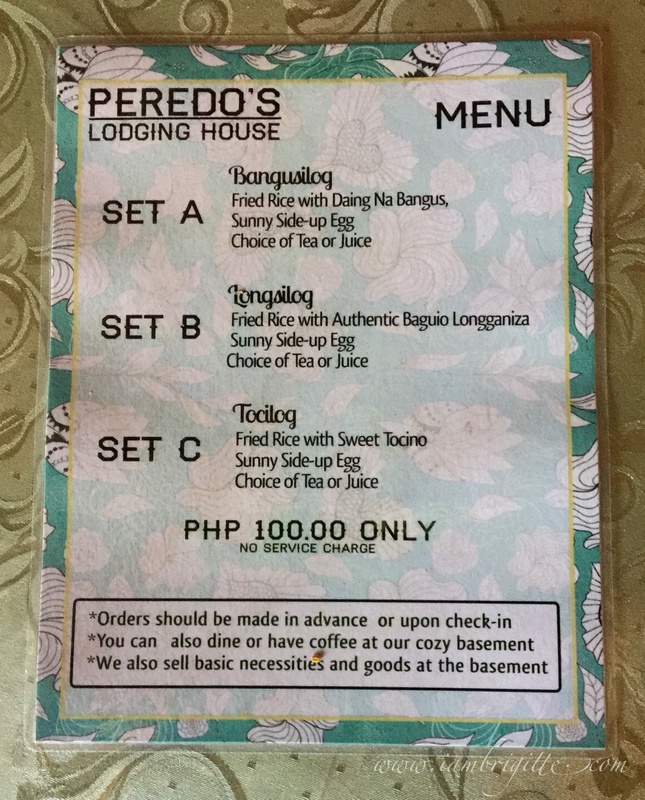 My Mom is maselan when it comes to accommodations (though she doesn't really admit it, hahaha) but she has her two thumbs up for Peredo's. 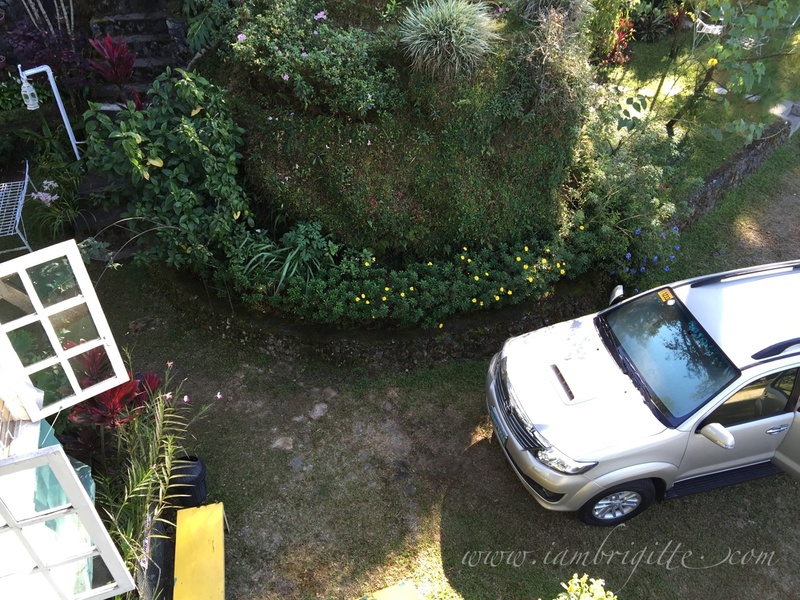 The house is also accessible (near Teacher's camp) and there's a jeep passing by on the main road. You can also ride a taxi if you prefer, since fare is fairly cheap and besides, the drivers really give you change. Kasehodang piso lang yan, ibibigay pa din nila. Just like in a hotel, the check-in time is at 2pm and check-out is at noon. If you'd be arriving early before check-in time, no worries, they allow you to leave your bags while you go around the city waiting for your check-in time. And if you still want to go around after you check-out, you can also leave your bags to the caretaker and just go back to get them. 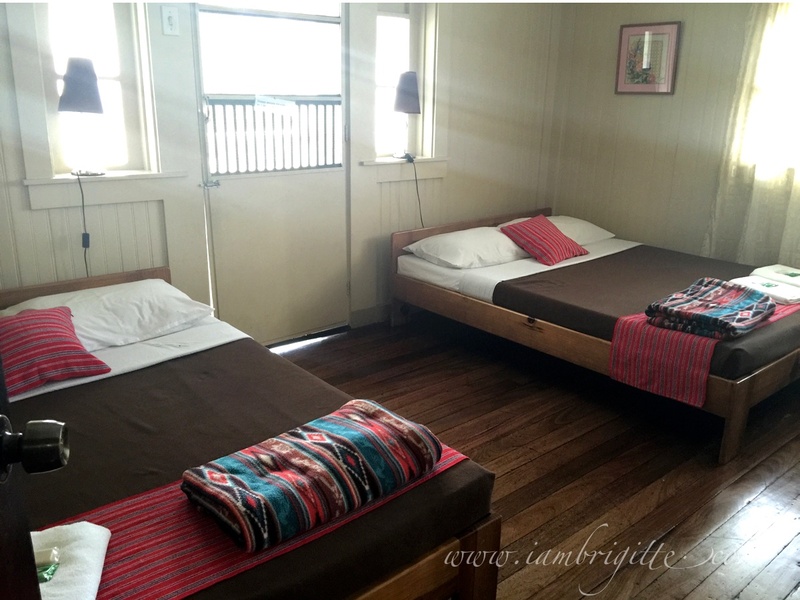 The caretakers are really nice and they make sure that you have everything you need in your room like beddings, towels, water, etc. 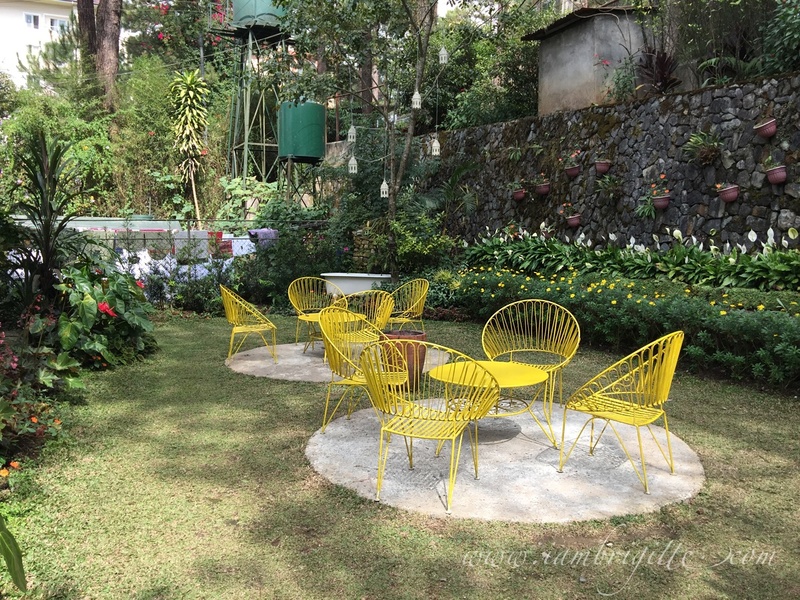 The next time we go up to Baguio, I am sure that we'll book Peredo's again. 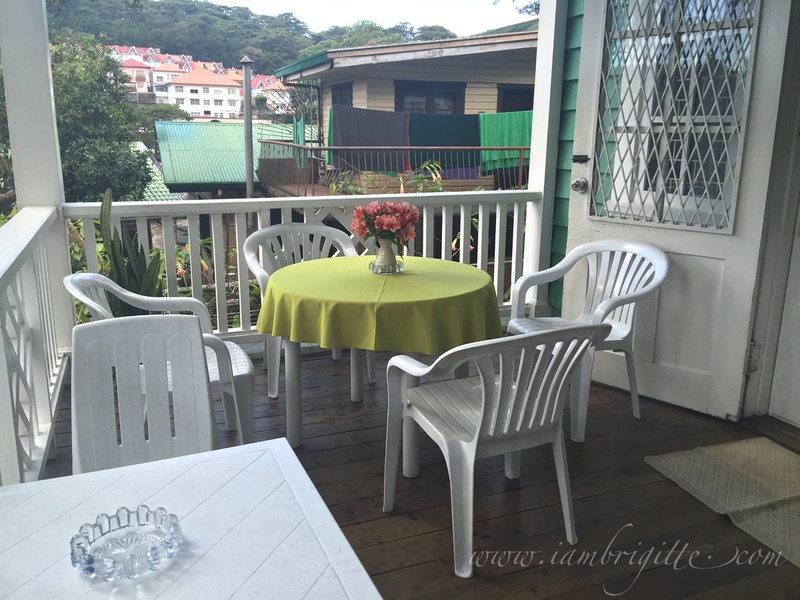 We'll never get tired of staying in that house because it's like our home away from our home. You can also check their Facebook page for more details and photos. 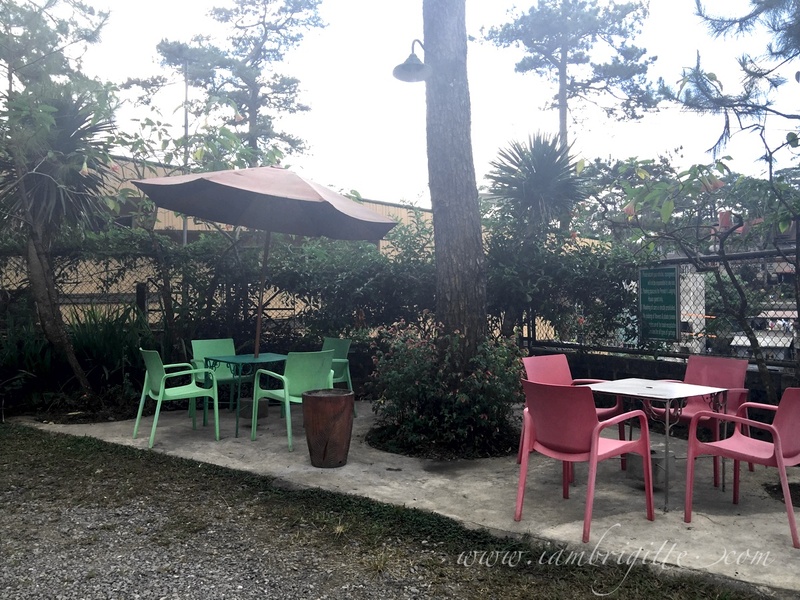 Hubby and I plan to take a short vacay before the school year starts and I badly wanted to go to Baguio since I've only been there once =( I'll bookmark your post now and will seriously consider Peredo's! 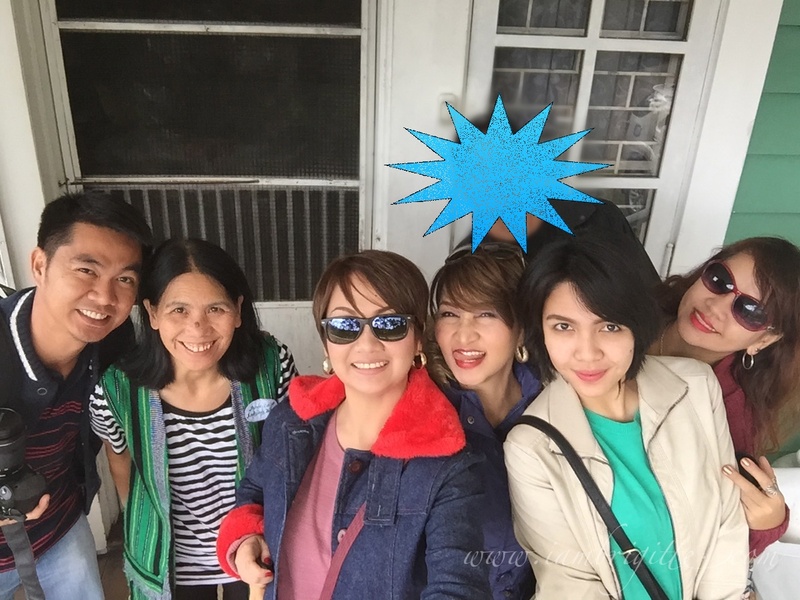 "Whenever I go home to PH for a vacation, I always ask Mom if we can go to Baguio." - I remember my cousin from this line of yours! She always says the same thing every time she came here from Canada! Because of this, I started to miss her! Hahaha! Anyways thanks for this! 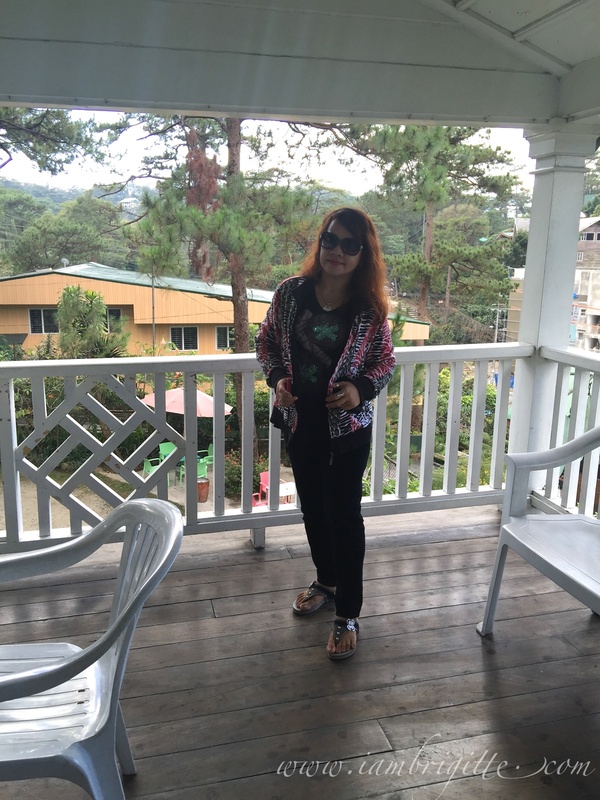 I am now again excited to visit Baguio. 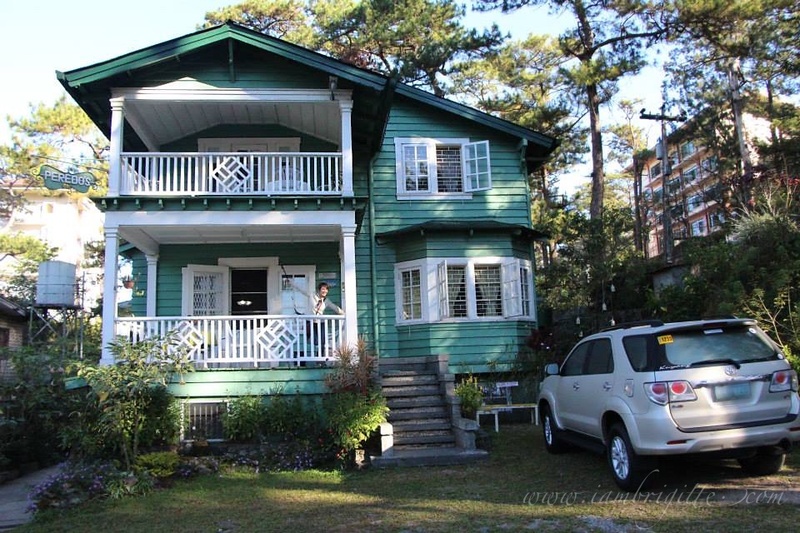 Hopefully I can use my cousin's Suntrust Baguio unit when I visit the city this summer!